I can’t believe spring break is almost over and Easter is here on Sunday! I fully intended to have an Easter recipe blogged earlier in the week but I’ve been playing catch-up after having the flu so here it is now. Better late than never I suppose. I’m very happy to be back to normal after feeling like a complete waste of space for an entire week! 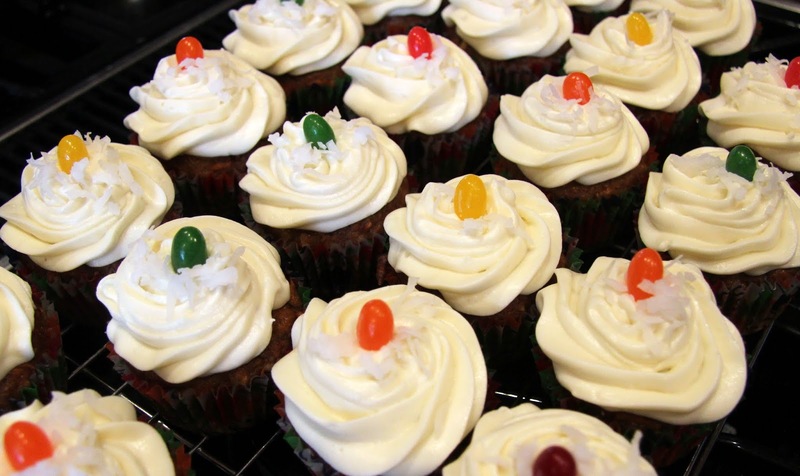 These cupcakes are great any time of year but I think they’re especially appropriate for Easter, you know, ’cause of the carrots. Besides, I got a little carried away at Costco and bought a 10 lb bag (I know, I’m appropriately embarrassed) so this probably isn’t the last carrot recipe you’ll be seeing. I adapted this recipe from the one I used at the restaurant when I’d make the very popular three layer carrot cake with lemon cream cheese frosting. 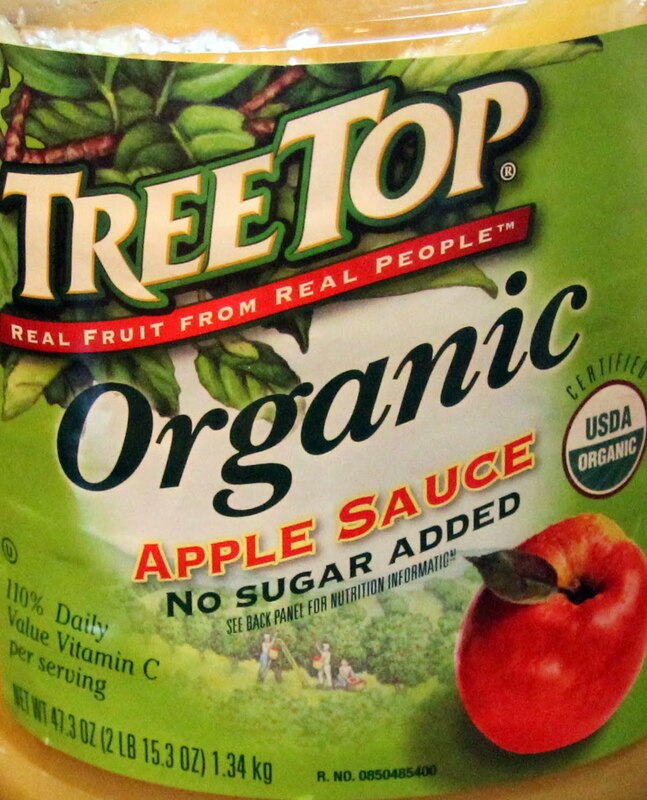 I decided it didn’t need nearly as much sugar or oil as the original so I cut the sugar in half, the oil by two thirds and added one cup of unsweetened applesauce to make up the difference. Worked beautifully. They still are super moist and Bob couldn’t tell there was anything different about them. 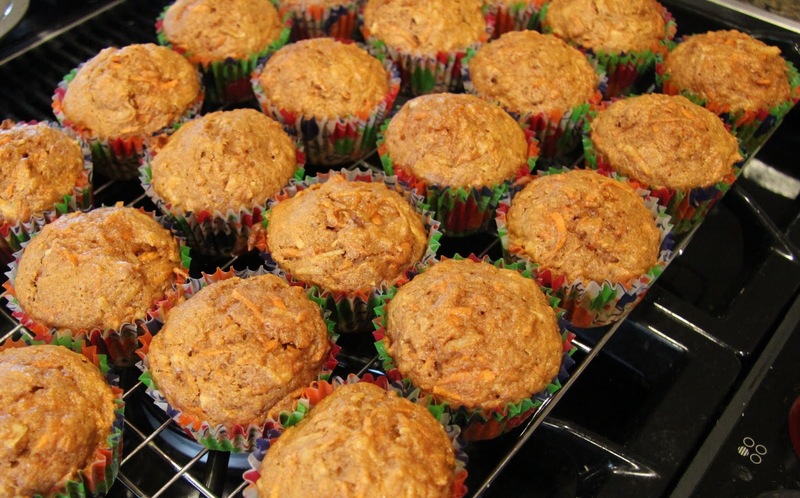 If you want to skip the frosting and cupcake liners, these make great muffins too. Not sure why you’d want to do that because then you wouldn’t have the lemon cream cheese frosting but I thought I’d mention it anyway. Happy Spring to all and Happy Easter to those who celebrate! Preheat oven to 350 degrees. 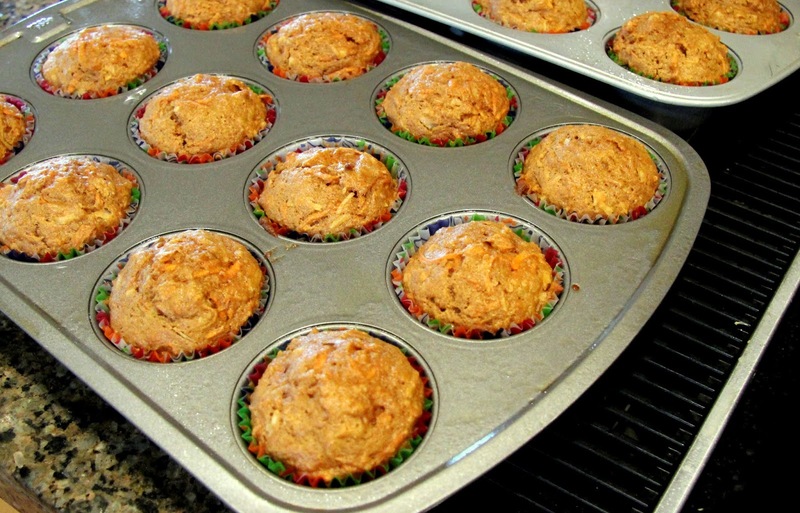 Line 2 muffin tins with cupcake liners. 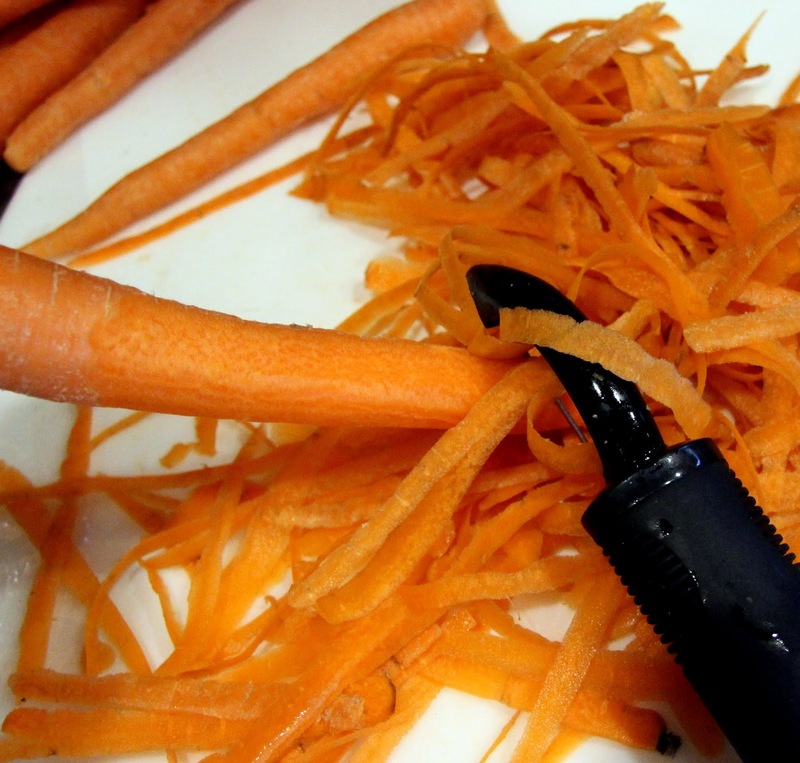 Peel carrots and trim ends. 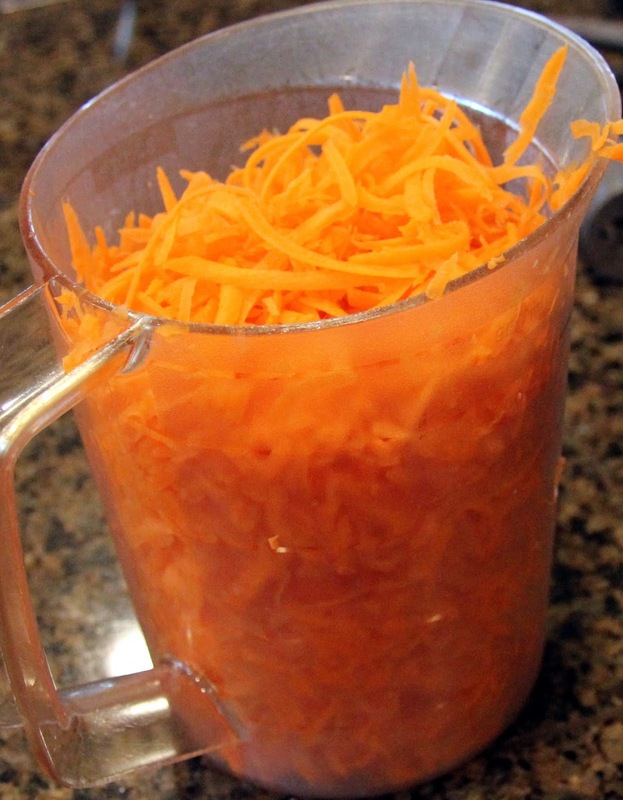 Grate in a food processor or with box grater until you have 4 cups. 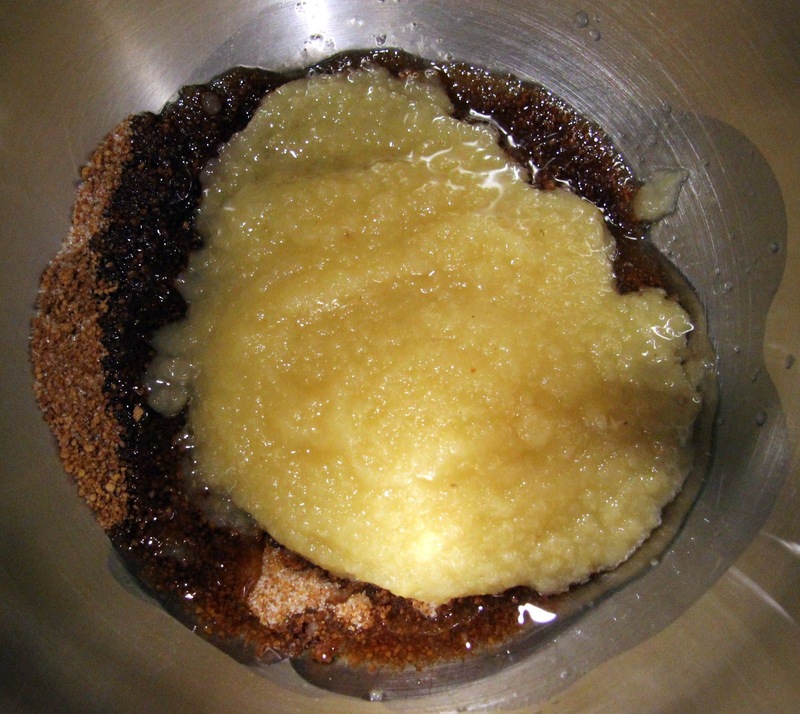 Place sugar, oil, and applesauce in mixing bowl. Add eggs, one at a time, mixing well after each addition. 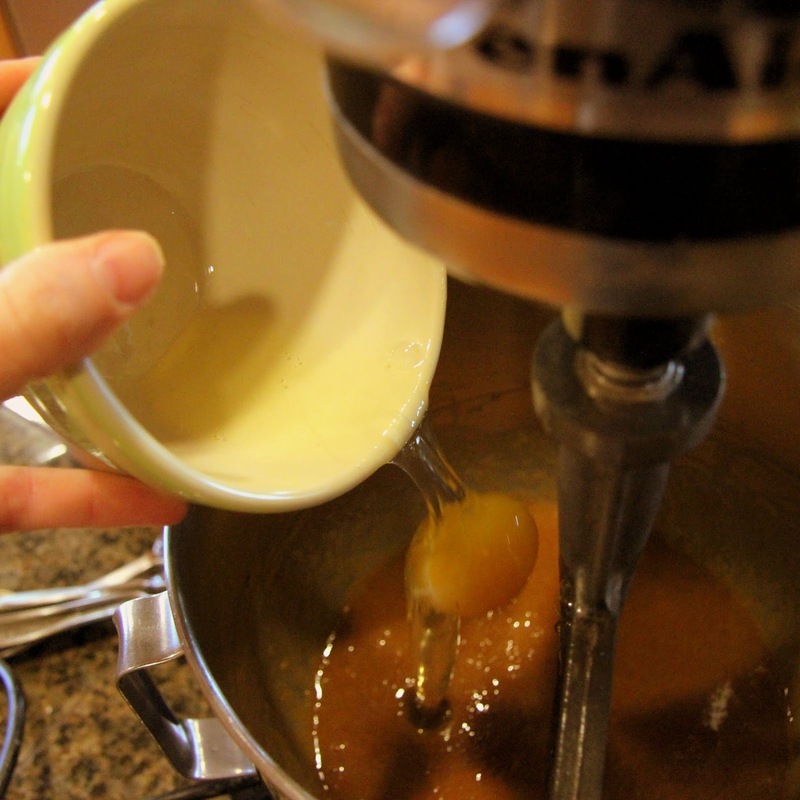 Make sure you crack each egg in a separate bowl before adding it to the mixing bowl. Add vanilla extract. 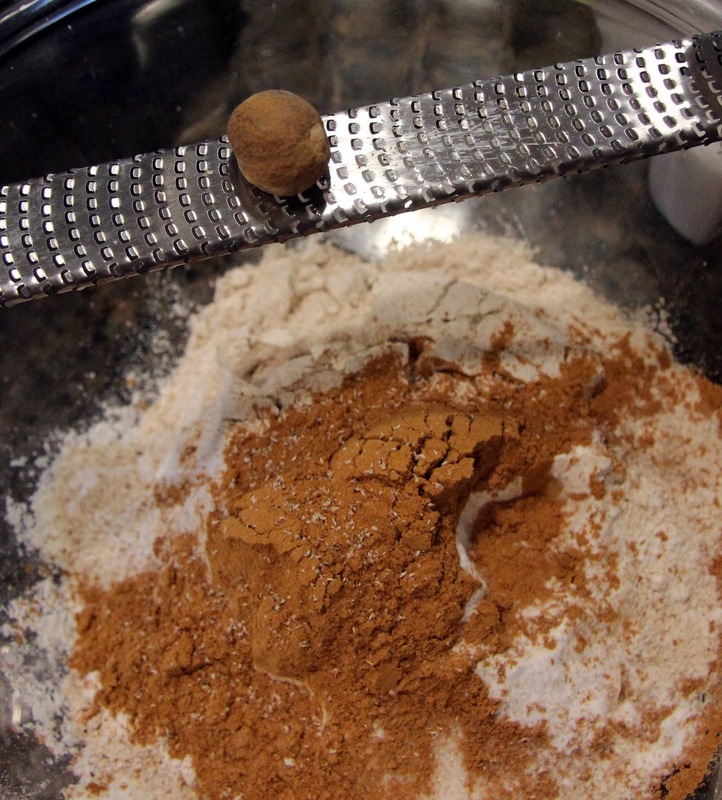 Combine flour, baking soda, salt, cinnamon and nutmeg (whole and fresh grated if you have it) in a medium/large work bowl. 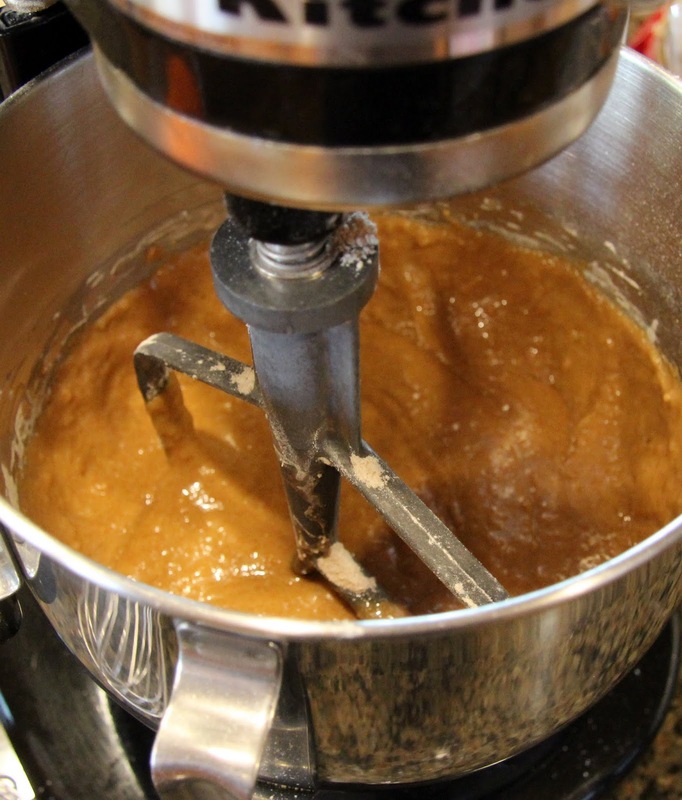 On low speed, gradually add flour mixture to applesauce mixture and mix until well combined. 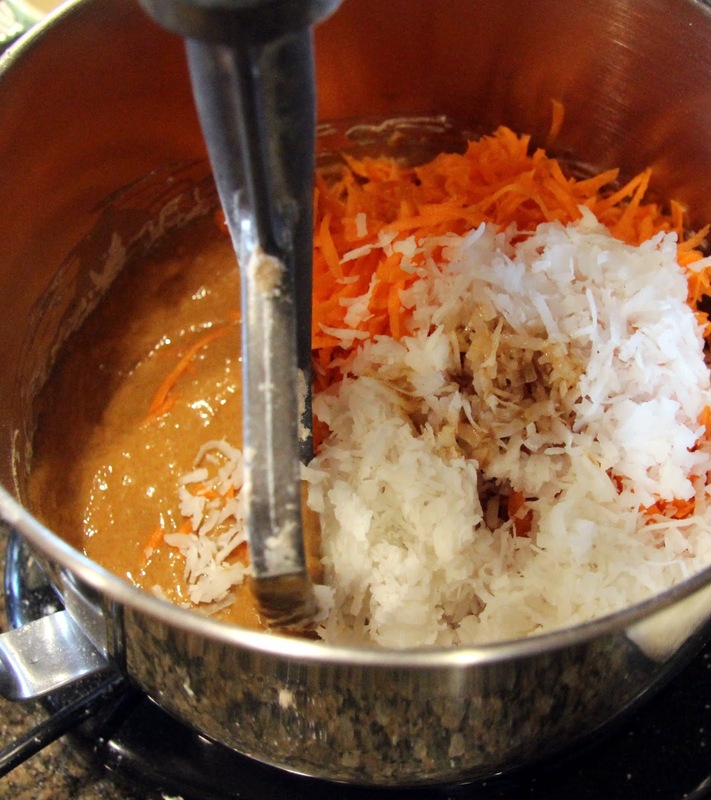 On low/medium speed, mix in carrots and coconut until well combined. 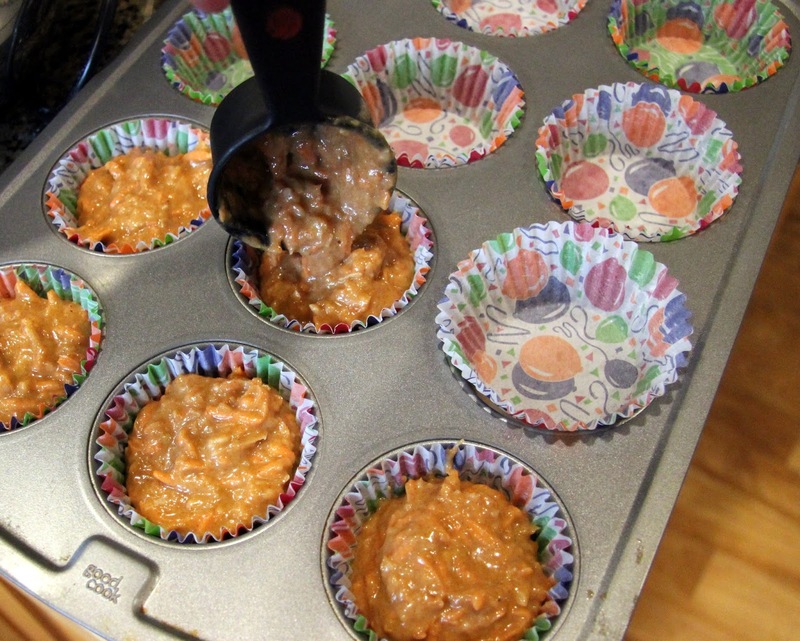 Fill cupcake liners 3/4 full of batter. Bake for 20 – 25 minutes or until a tester comes clean, also they should bounce back a bit when you press the top with your finger (that’s how I check). 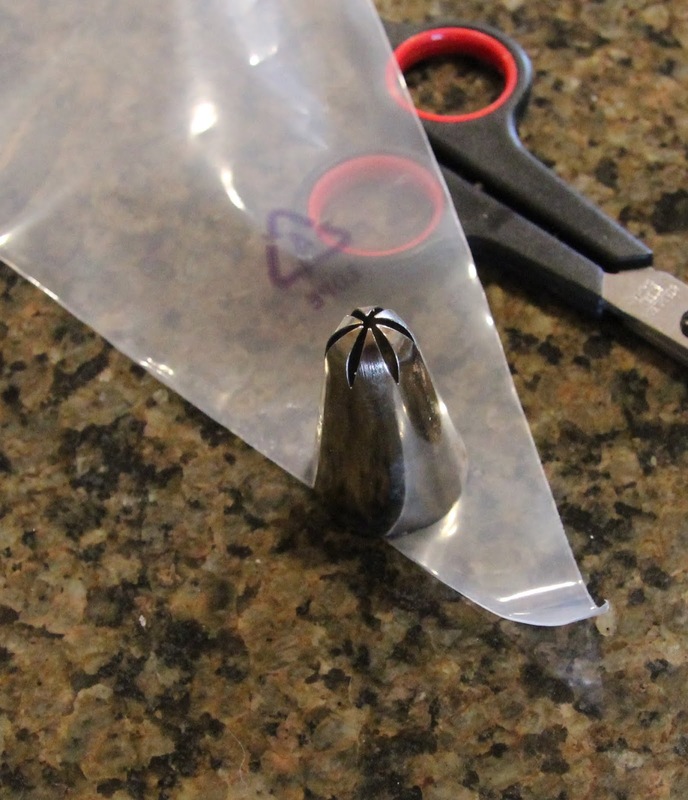 Immediately, remove from pan and allow to cool on a rack or heat-proof countertop. 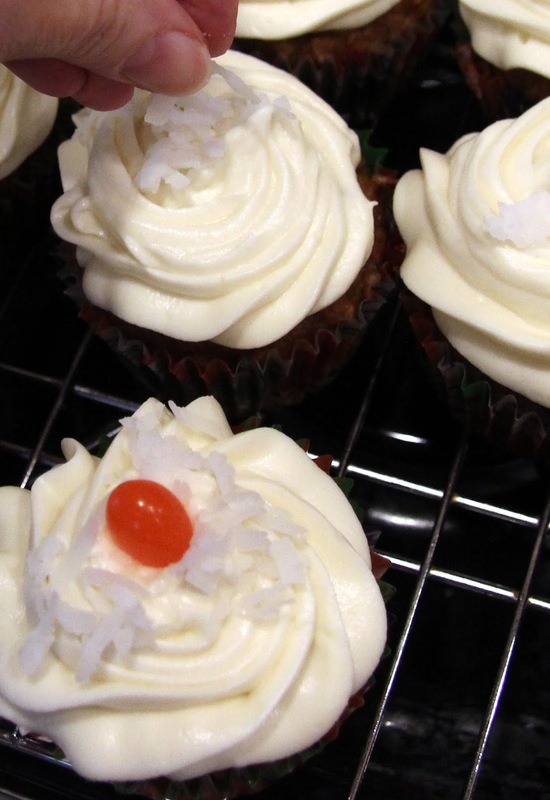 They must cool completely before frosting. 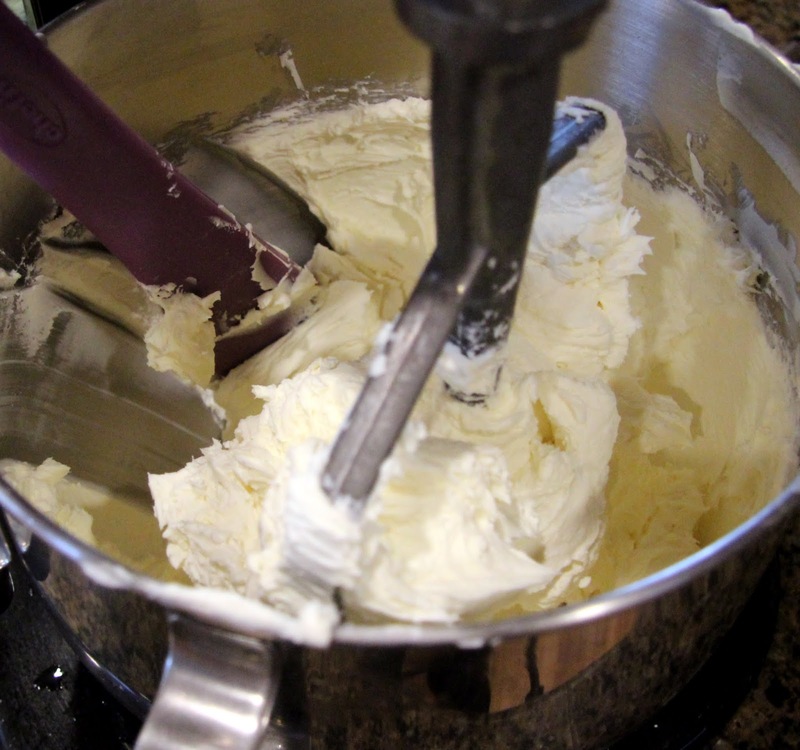 Place softened cream cheese in mixing bowl and beat on medium/high speed until smooth, scraping sides occasionally. 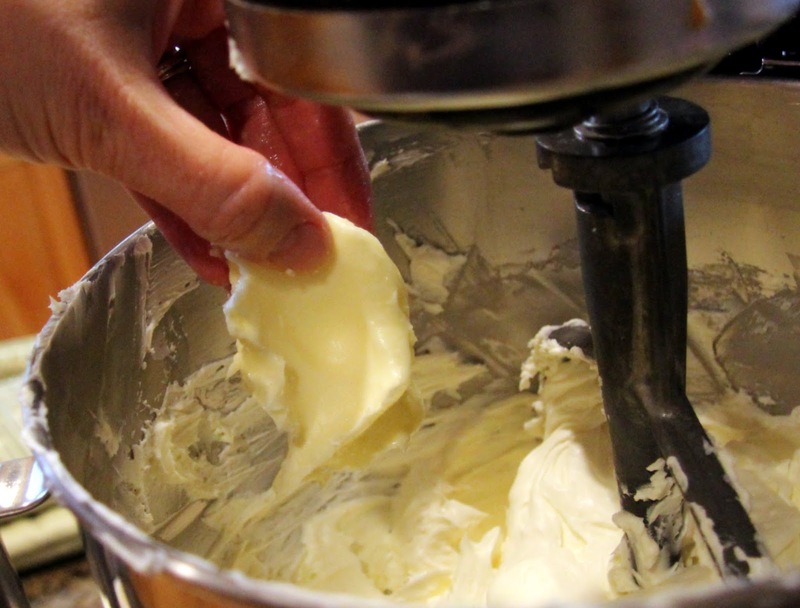 It’s really important both the cream cheese and the butter are softened to room temperature. 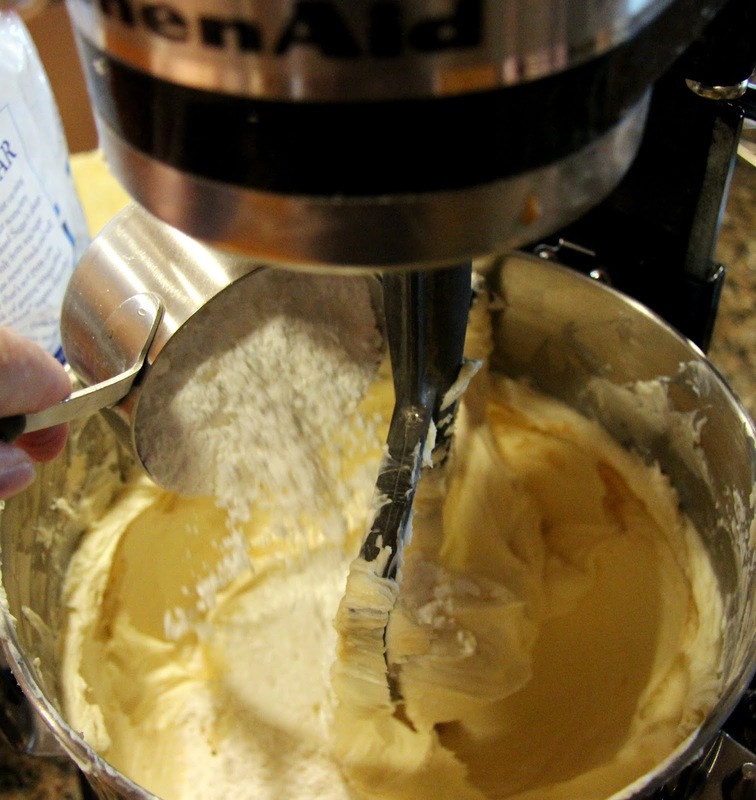 Otherwise, they won’t blend together as well and you might have lumpy frosting. 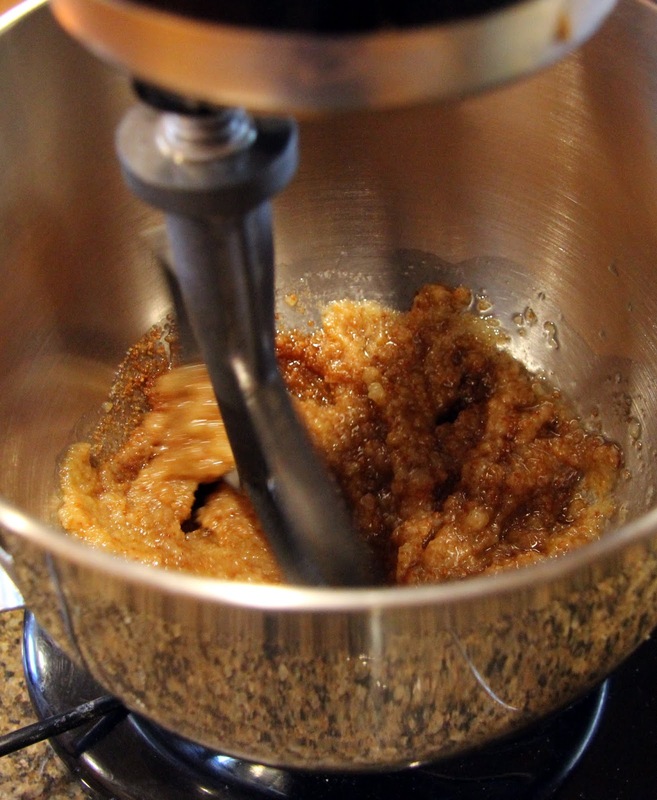 Gradually, add butter and mix on medium/high speed until well combined, scraping sides occasionally. Add lemon juice and vanilla extract. 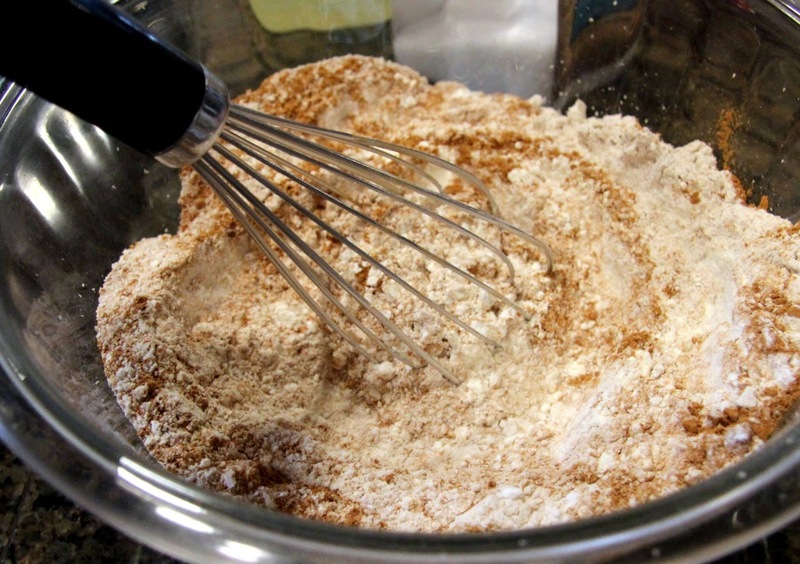 On low speed, slowly add powdered sugar. 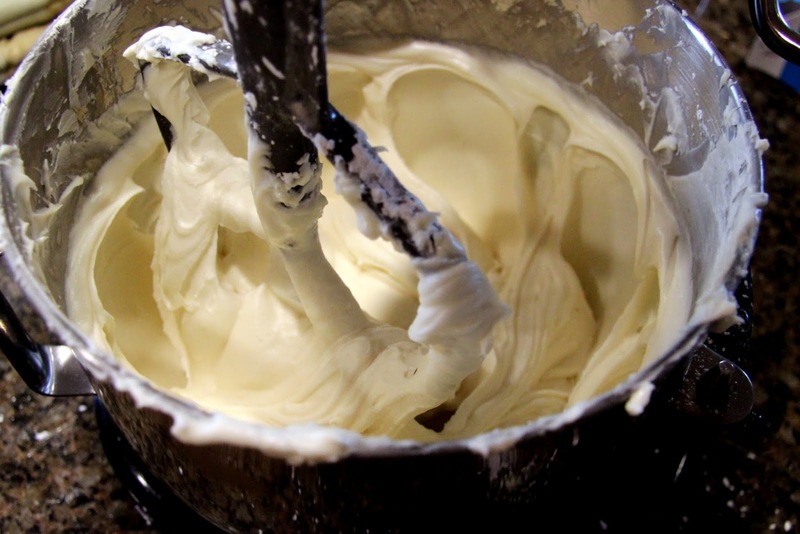 Increase speed and mix until smooth and fluffy. 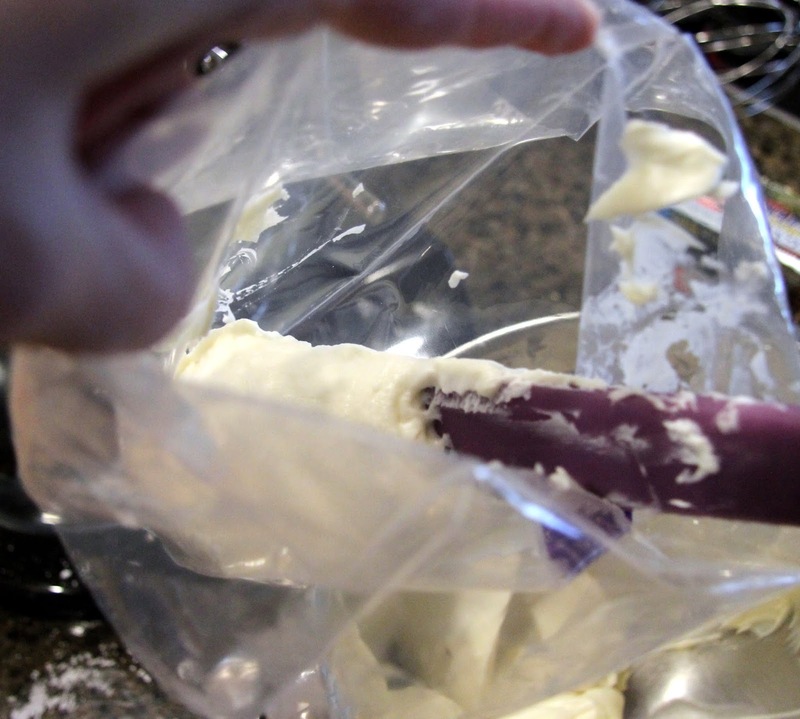 If you want to get a little fancy, prepare a disposable pastry bag by cutting off the end and fitting in a large frosting tip then fill it with frosting. 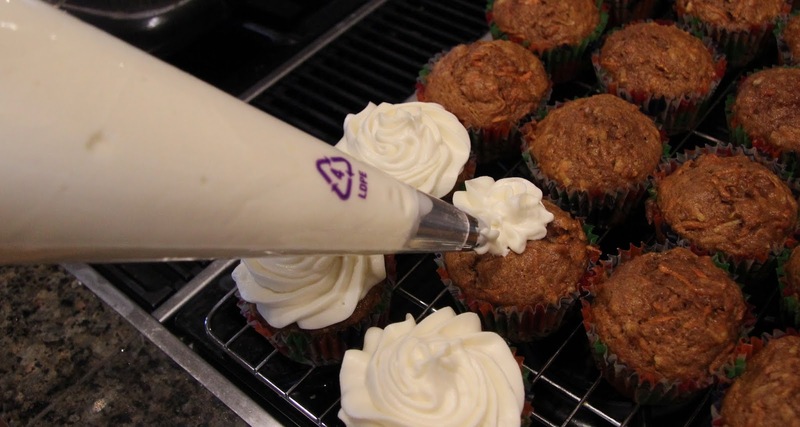 Pipe frosting on cooled cupcakes or use a small butter knife or offset spatula to frost them. Instead of the predictable carrot on top, I decided to use some coconut and a jelly bean on top to make it more festive for Easter. 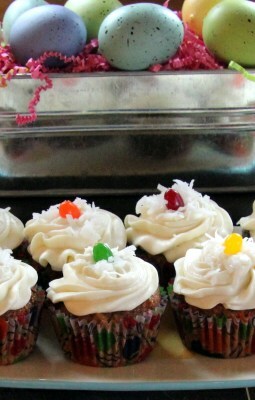 Refrigerate the cupcakes and take them out about 15 minutes before serving.